Champion sire, Redoute's Choice (Racenet). 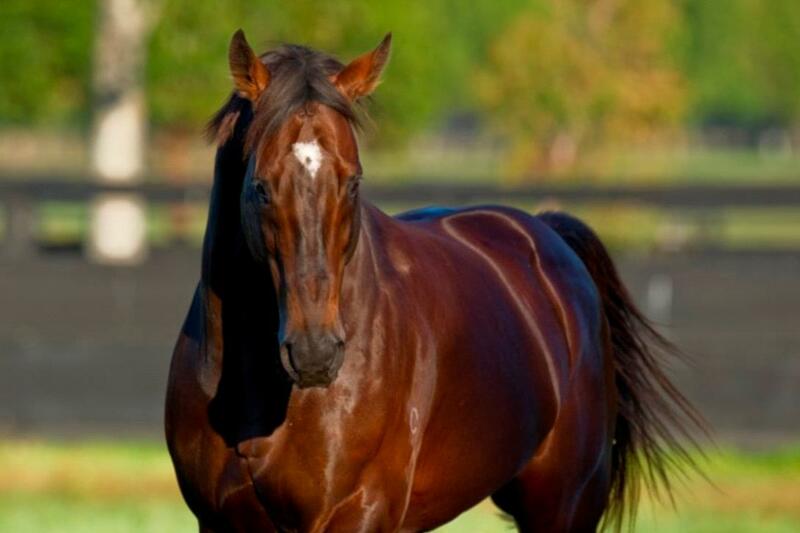 Arrowfield Stud announced the unfortunate passing of champion sire Redoute’s Choice last Tuesday morning. The twenty-two year old stallion was humanely euthanised after suffering a traumatic loss of mobility which, despite intensive care by Arrowfield’s veterinary and stallion teams, could not be restored. Redoute’s Choice was a stallion who allowed so many people to fulfil dreams and ambitions. Those dreams include the careers of 163 stakes winners across 11 countries since his first crop of foals in 2001. Bonaria, Doubting, Miss Finland, Albrecht, Lankan Rupee, Samantha Miss, Fullazz. Stakes winning mares who have gone on to produce their own stakes winners. Speedy colts looking to emulate their father as they carve out their own stallion careers – ten of them now standing in Victoria. He may have spent the last two decades in the scenic surrounds of NSW’s Hunter Valley, but the greatest son of Danehill began his racing career in Victoria. In 1994 Mr Muzaffar Yaseen, a Sri Lankan businessman with Victorian interests, purchased a $220,000 Canny Lady filly from a Nijinsky mare at the Inglis Melbourne Premier Yearling Sale. Bred by Victoria’s Evening Star Breeding Venture, Shantha’s Choice was the highest priced filly at the sale that year, but there was no way her new owner could forsee the Australasian breeding jewel she would become. Despite being a three-quarter sister to Group 1 winner Hurricane Sky and half-sister to Umatilla, Shantha’s Choice could not emulate the same racetrack success. She only raced twice as a two year old for trainer Gerald Ryan before injury sent her to the breeding barn, and to Danehill. The result of that meeting was Redoute’s Choice. Trained by Rick Hore-Lacy, Redoute’s Choice had five wins in his ten start career, four of them Group Ones – Blue Diamond Stakes, Caulfield Guineas, C.F. Orr Stakes and Manikato Stakes. A sensational career on the track ended with his crowning as the Australian Champion 3YO Miler. Redoute’s Choice is among the five stakes winners out of the 13 foals produced by his dam. His full brother Platinum Scissors won the AJC Spring Champion Stakes while half-brother Manhattan Rain won the AJS Sires’ Produce Stakes and placed in a Golden Slipper and Cox Plate. Echoes of Heaven took out the SAJC Port Adelaide Guineas and Sliding Cube won the AJC San Domenico Stakes. All but 2 of her foals would go on to have their own successes in the breeding barn, producing offspring who are now leaving their own significant marks on Australian breeding. Redoute’s Choice has been a Top 5 sire since he won the first of his three General Sires’ Premierships in 2006. He won two Champion 2YO Sire titles (2005 and 2006) and a Champion First Season Sire (2004). His 2005 Tugela colt sold for a then all-time Australian record price of $2.5 million and he looked set to inherit his own sire’s crown. His 2010 season recorded a remarkable strike rate of 19.6%. Snitzel’s second-place finish in 2014 resulted in a father-&-son Sire Premiership quinella unprecedented in Australian thoroughbred history. Even with his athletic physique, impressive pedigree and brilliant racing career, Redoute’s Choice exceeded all expectations to become a world-class stallion and a dominant sire of sires and broodmares. The legacy set in motion by his dam Shantha’s Choice will live on for years to come.